Run in America! 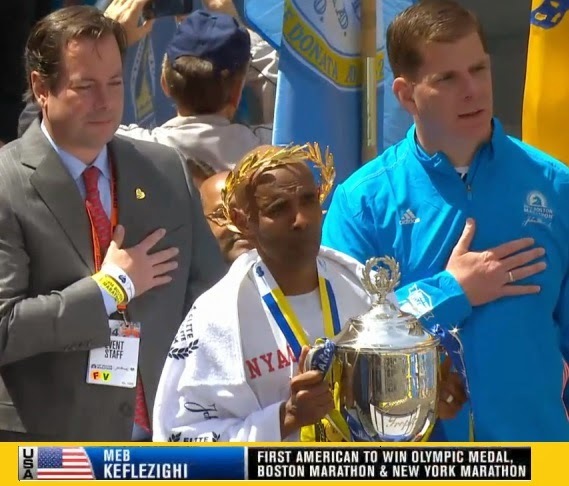 : Meb Keflezighi, Boston Strong!!! I was extraordinarily lucky in January to meet Meb Keflezghi at the Houston Marathon Expo, and to hear his heartfelt and inspirational personal story in overcoming unbelievable adversity. A naturalized U.S. Citizen originally born in Eritrea he rewarded his adopted homeland by earning an Olympic Medal and winning the New York Marathon. His sincerity and gratitude to the United States, his family, the community and to God touched me deeply. 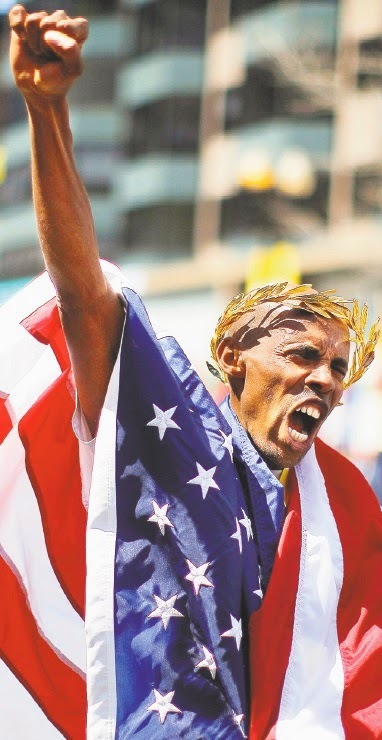 As a long-time Boston Marathon fan, shocked in 2013 by the senseless acts on Boylston Street, I was delighted during this year's Boston Marathon to see Meb personify the "Boston Strong" spirit. He courageously ran strongly from the beginning of the race, and never faltered. By doing so he clinched for the United States the Boston Marathon win for the first time in over 30 years, and simultaneously rejuvenated the city's and the country's spirit. With incredible gratitude we wish Meb our full and hearty congratulations! 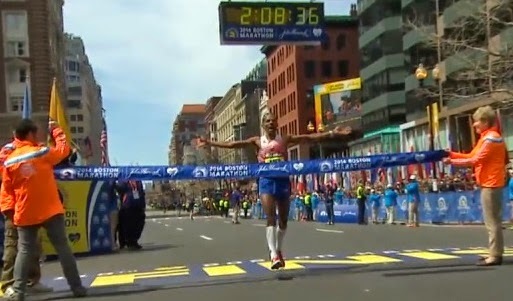 Meb, crossing the finish line, just ten seconds ahead of the charging second place finisher! I watched it live and was chewing off all of my fingernails willing Meb to stay out in front. My staff thought I was a lunatic when I was jumping up and down in my office when he crossed the finish line. Well, they probably already knew I was a lunatic... Couldn't have written a better story for such an amazing guy! I hope I get to meet him someday.